Happy Straya Day! Celebrate the day with these fun, free activities for families! It’s the day we slip on our thongs, slap some zinc on our noses and head on out to throw a few snags on the barbie. Ok, we do that most weekends, but on Australia Day it’s nice to celebrate with the rest of the country and take a moment to appreciate just how lucky we are to live where we do. If you haven’t quite decided how you’ll spend our national day, don’t fret, we’ve come up with a very handy list of free family activities happening near you on January 26, 2016. Darling Harbour hosts a huge harbourside party, with a daytime program of home-grown music, dance and children’s entertainment from noon. The Australia Day Spectacular night program will cap off the festivities with the biggest and brightest stars, sights and sounds on Cockle Bay from 6pm. As the sun sets, the official NSW Australia Day Ceremony will include an Australian of the Year segment, before Sneaky Sound System spins the decks from 8pm. From 9pm, there’s a fireworks and pyrotechnics display, set to a specially-produced mash-up of Sneaky Sound System songs and great Aussie classics. Sydney Harbour Foreshore Authority’s head of programming, Sofia Gibson, says the Darling Harbour Australia Day event typically attracts the precinct’s biggest crowds of the year. “Darling Harbour will be busy and viewing spots around Cockle Bay for the fireworks are prized; so take public transport, get to Darling Harbour early, enjoy the free festivities, settle in, and prepare to be bedazzled,” says Ms Gibson. Dressed and decorated to the nines, Sydney’s beloved First Fleet ferries line up for the Ferrython at 11am. Come on down to Sydney Harbour with your picnic basket and cheer on your favourite ferry as make their dash to the finishing line under the Harbour Bridge. Not to be outdone, Newcastle has Australia Day celebrations returning to the waterfront’s Honeysuckle precinct. The day starts with the harbour swim from Stockton to Newcastle at 7am, then the return cross-harbour swim an hour later and the citizenship ceremony from 9am at the concert hall. Entertainment will run all day across four stages, including live music, circus workshops and face painting at Worth Place Park, market stalls, guided historic tours of Fort Scratchley and roving bands along the precinct. Visitors are invited to tour Government House, including the Governor’s private apartments, and view the historical collection, including antiques from the Johnston Collection and artwork from the National Gallery of Victoria. Try to make it out to the Great West Lawn for the flyover from the Royal Australian Air Force Roulettes at 12.30pm. The RACV Australia Day Picnic and Federation Vehicle Display of veteran, vintage and classic cars is a long standing Australia Day event within the beautiful Kings Domain gardens. This year’s event will include a Children and Community Precinct with numerous free activities and entertainment including a performance by Justine Clarke. 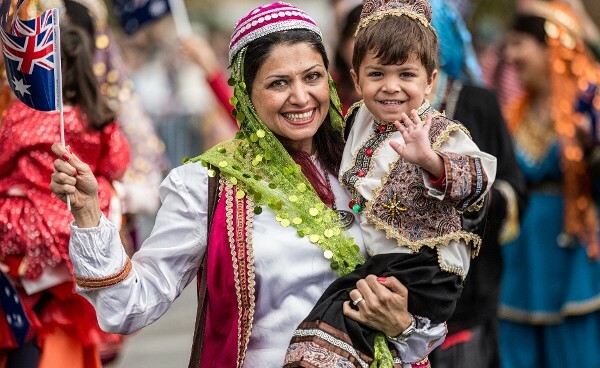 The Australia Day Parade starts at 11am where more than 100 community and cultural groups to come together and participate. 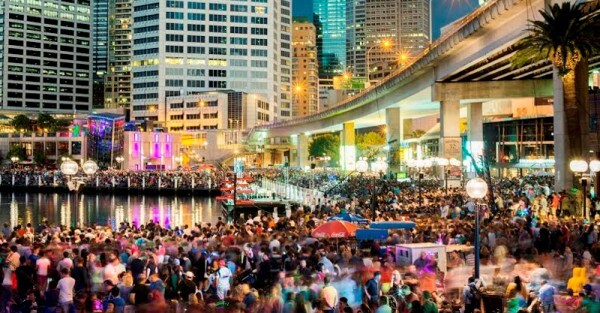 The Docklands precinct will have entertainment, food trucks and a design market from 2pm, leading into fireworks over Victoria Harbour at 9.45pm. 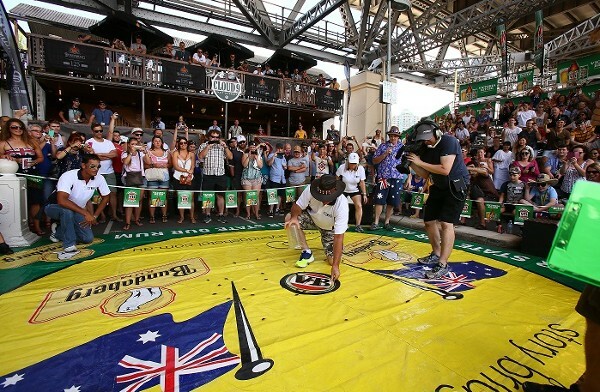 It’s Brisbane’s quirkiest Australia Day event and in 2016 the Annual Cockroach Races at Story Bridge Hotel celebrate 35 years! The fun-filled day includes great food stalls and cold drinks, live music, entertainment and prizes as well as a 14 race program featuring the finest creepy-crawly athletes. Story Bridge Hotel takes over the side street and neighbouring block for the huge street party, all directly beneath Brisbane’s landmark bridge. The family-friendly event attracts up to 2000 attendees and entry to the cockroach races is by a gold coin, which is donated to charity. Guests can also “buy” a roach to enter in a race for $5. The last race is on at 4.30pm. Join in the attempt to beat the World Record on Australia Day at the City of Perth Skyworks for the most number of national flags being waved at one time. Bring your own flag or collect one from our volunteers – and get waving! More than 60,000 Australian flags will be handed to spectators around the Perth and South Perth foreshores as well as in Kings Park from 4.30pm. And Langley Park is the place to be, with family fun galore in the free entertainment zone, plus Perth’s best views of the fireworks and laser show from 8pm. There’s fun for toddlers to teens and beyond in Carnival Land, 3-7.45pm. An animal kingdom and wet and wild water playground will keep families busy all day. Australia Day at Elder Park begins with one of the largest Australia Day parades in the country from 6pm, featuring more than 4000 people celebrating what they love about Australia and being Australian. The parade includes 150 community groups, vintage cars, horses, marching bands, a giant echidna, floats, giant characters and includes a fly past by an F-18 Hornet. After the parade a free family concert will start just after 7pm. Samantha Jade will perform at 8.45pm leading into a spectacular fireworks finale. 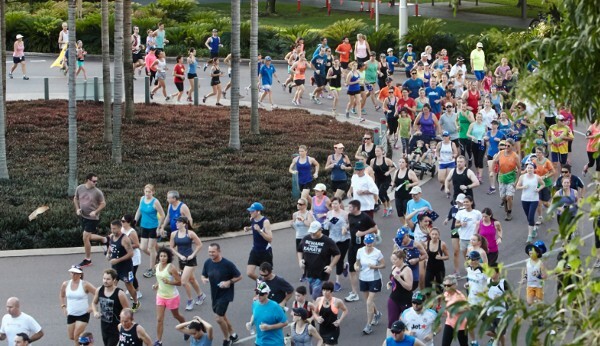 The Australia Day Fun Run starts at 7am sharp and encourages everyone to celebrate the national day with a three or five kilometre run or walk. The event inspires the community to celebrate what’s great about our country, its people and culture by dressing up and displaying a sense of pride. Join in the fun with the traditional waterslide down the Port Sorell Bowls Club hillside as well as the many other community activities, thanks to the Port Sorell Lions Club in Tasmania from 9.30am. Canberrans can start the day right at the Great Aussie Day Breakfast. It’s free, but a gold coin donation to support Pegasus is appreciated. There’ll be an Aussie barbecue of sizzling sausages and onions, with bread, milk and yoghurt plus live music on stage. Some of Canberra’s best lsporting celebrities will be there to serve you breakfast and sign autographs. It’s at Commonwealth Park, near Stage 88 from 7.30am-10am. Stay for the midday Salute to the Nation, where you can sing the national anthem in harmony with popular local duo Dos Locos. There’s many other free or low-cost community activities happening all over Australia on Tuesday, so we hope we’ve inspired you to get out there and enjoy the day with your families. Happy Australia Day!